I think 2016 has been full of Kylie Cosmetics, Kylie Jenner really did step up her game and released her own makeup line off the back of her lip injection speculation - you can't blame her, just look at her success! 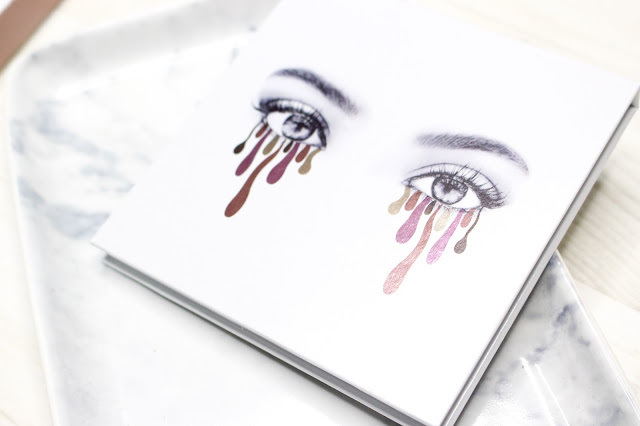 With her level of fame, it was no wonder that Kylie Cosmetics had such a massive cult following before the first product hit the online shelf. I myself found myself caught up in the excitement of her lip kits. When she revealed that she was releasing eyeshadows Kyshadows, I was really intrigued as to how they would turn out. Kylie's first palette was the bronze palette, which I didn't find myself wanting to buy, and didn't find mass reviews that were raving about it so I thought I would save some moola. However, when I saw the 'Burgundy Palette' (pictured above), I knew I had to get my hands on it at some point. The Burgundy Palette costs $42.00 which translates to £33.82 in English monies. 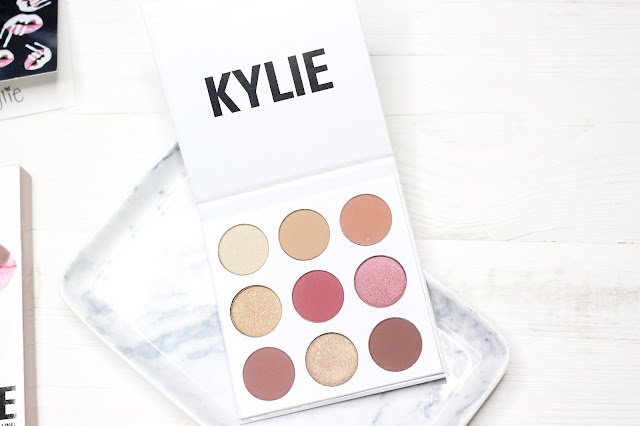 For 9 eyeshadows this seemed completely ridiculous to me, as they are not coming from a well established high end brand, nor someone who specialises in the creation of makeup, I felt like it was priced like this for the name Kylie Jenner rather than the product itself. Needless to say, I purchased this, however, I did wait until Black Friday and had 20% off which helped my justify the purchase. The matte shades are absolutely stunning. The matte shades blend perfectly. The matte shades have high pigmentation which means one swipe has amazing colour pay off. There are plenty of shades to provide transition shades, crease colours, and deeper colours to add smokiness to any look. HOWEVER, the shimmer shades are awful. Swatched on the finger they don't look that bad, but the second you try to apply them to the eyelid it's like trying to get blood from a stone. So as you can see, I was very impressed with the matte eyeshadows, but the minute I touched the shimmery ones I was really disheartened. Considering the cost of the palette, the shipping, and also the customs charge (I paid £19!!! so beware!) it's ashamed that the quality isn't at 100%. I have applied these eyeshadows using my fingers, brushes, and even wetting them to see how that made them change. The matte shades worked well no matter which technique I used, however, the shimmery shades remained useless throughout the whole process. 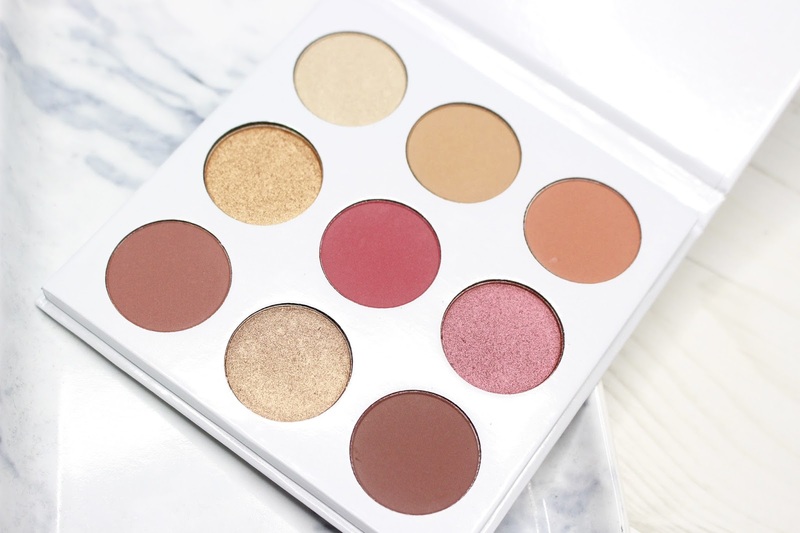 Overall, I do find myself reaching for this palette whenever I'm unsure of what makeup look to create, and also to combine the matte shadows with other palettes so I am very impressed with the matte shades for it to have such an impact on my collection. My recommendation would be that if you want to try it, it is a nice purchase and I am glad that I did get it, but be prepared for poorer quality shimmery shades and to mix with other shimmery eyeshadows if you want to add shimmer to your eye makeup look. What are your thoughts? 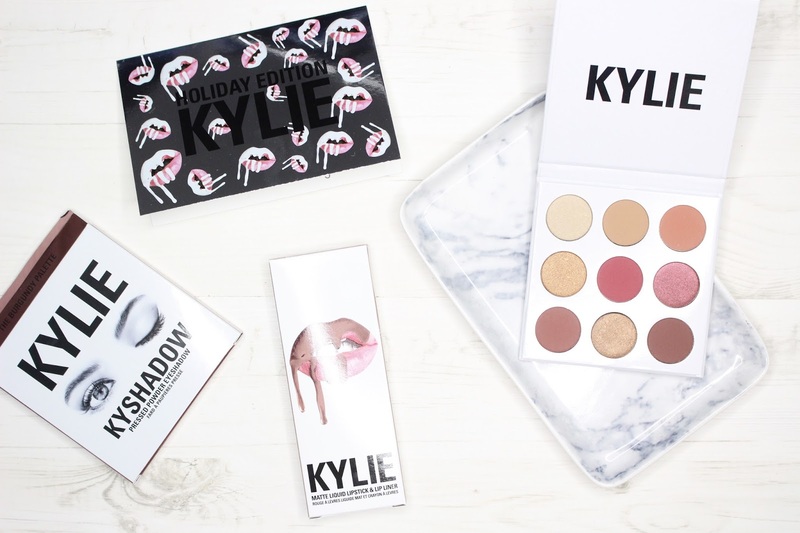 Do you like Kylie Cosmetics?